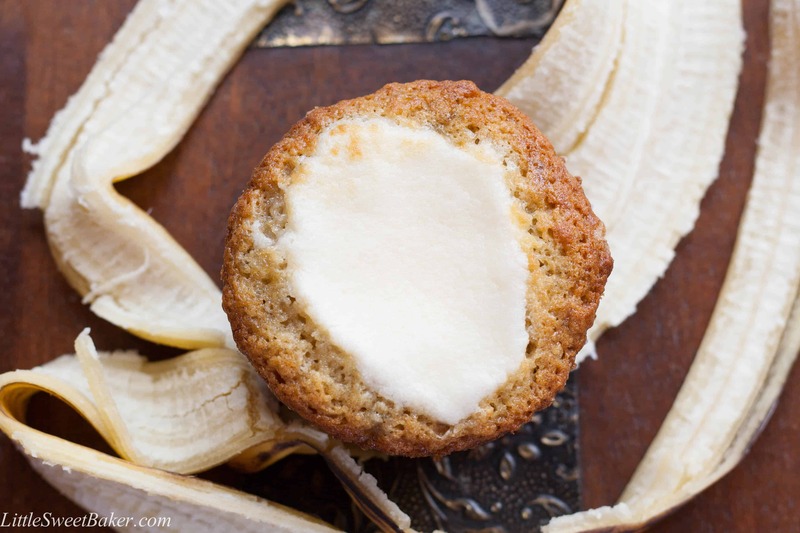 Deliciously moist and fluffy banana muffins with a cream cheese mousse baked on top. 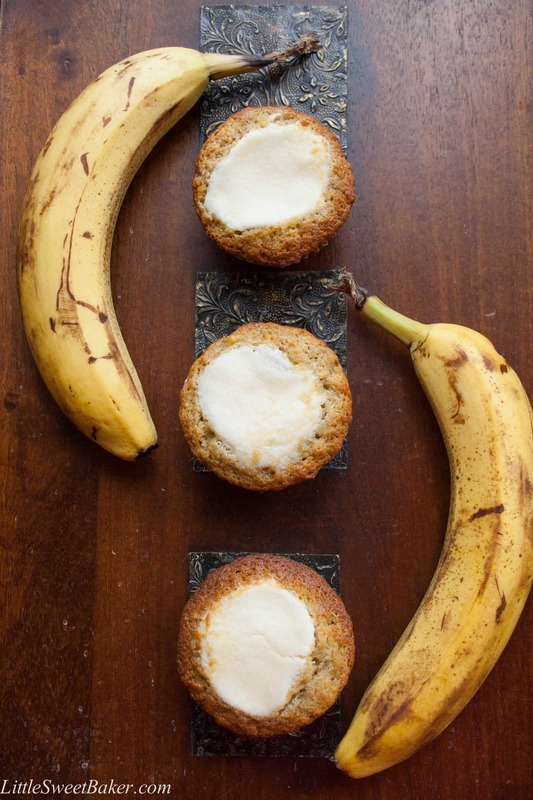 The original recipe is called Banana Cream Cheese Breakfast Cakes. But, to me, they’re mini cakes disguised as muffins, so I decided to call them muffins instead. 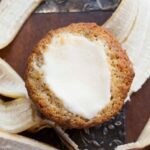 They look and act like a muffin because they’re made for breakfast, but they’re made with cake flour and have the light airy texture of a cake. 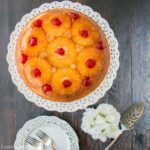 So cake or muffin, I’m not sure, but what I can promise you is that they taste amazing! Now, this recipe requires a little patience. I thought I’d be honest and upfront so that you’re not cursing me halfway through. 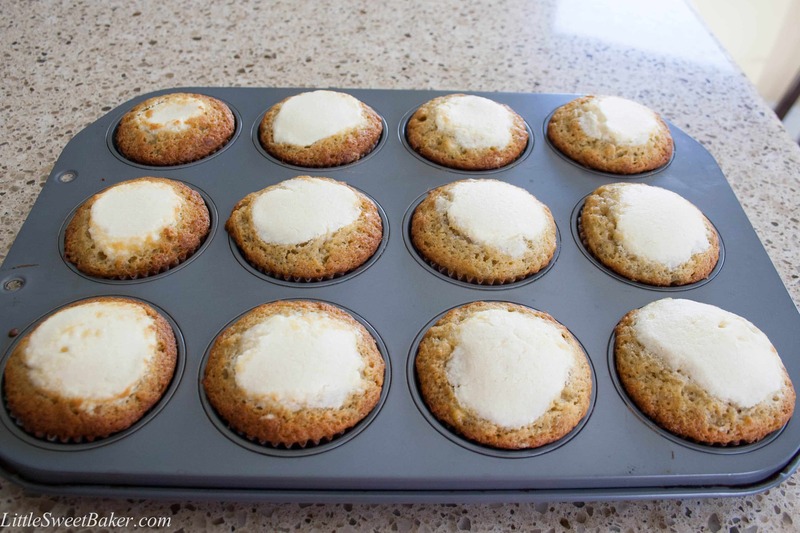 There’s an extra step involved for making the cream cheese mousse, and there will be a few extra bowls and utensils to clean, but it will be all worth it as you take your first bite into these scrumptious, heavenly muffins. 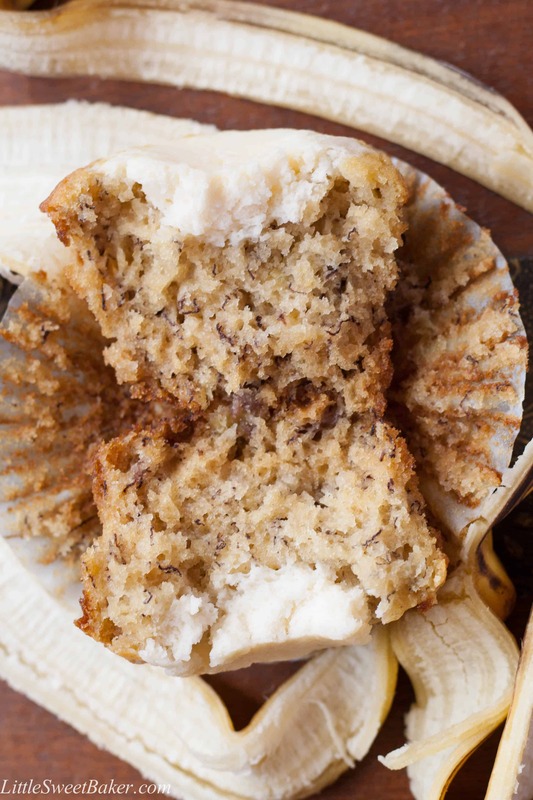 These muffins are light, airy, and deliciously moist. They are sweet, and full of banana flavor. 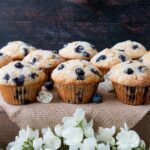 The cream cheese mousse takes these muffins over the top, giving them a creamy, melt in your mouth taste and texture. So make a batch today and let me know if they become your favorite too. Using a stand mixer with the paddle attachment, mix cream cheese and vanilla until smooth. Transfer into another bowl. Clean out the mixer. Using the whisk attachment, whip the egg whites until frothy. Gradually add in the sugar, then mix on high until stiff peaks form, about 3 minutes. Add half of the cream cheese mixture, mix until just combined. Add the rest and mix until smooth. Transfer into a pastry bag with a large round tip and set aside. Clean out mixer. Preheat oven to 325°F. Line 2 muffin pans with 16 paper liners. Sift flour, baking soda and salt into a bowl and set aside. Using the paddle attachment, cream the butter, sugar and vanilla until light and fluffy. Add the eggs, one at a time. Mix in the mashed bananas. Add half of the flour mixture, stir until moist. Add the rest and stir until just combined. 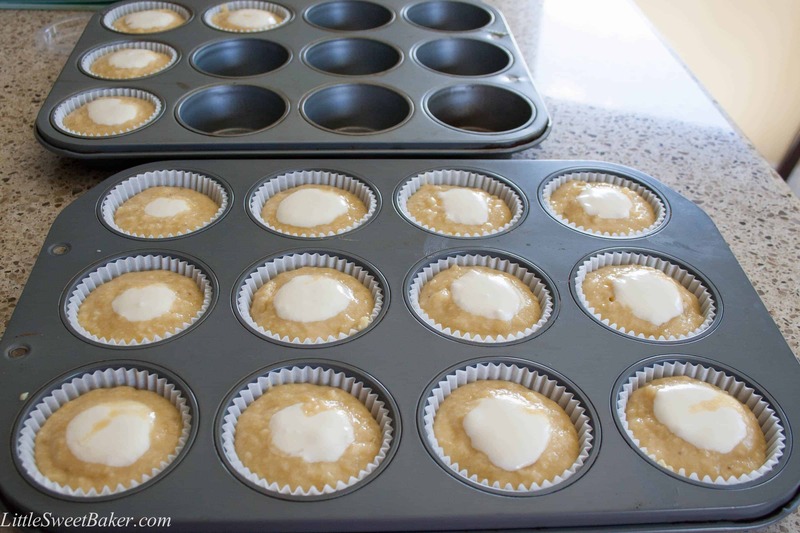 Divide the batter among the prepared muffin cups. Insert the pastry tip halfway into batter and pipe in about 1 tbsp of the filling. Bake for 25-30 minutes or until a toothpick inserted into the muffin (not the filling) comes out clean. Let cool and enjoy. I tend to be light handed when filling the muffins with the mousse, so I always have about half of the cream cheese mixture left over. I simply freeze the rest in a plastic container and defrost in the fridge for the next time I make these muffins again. I baked these muffins for my co-workers the other day and it was a huge success! 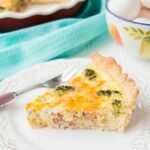 These are on my MUST Bake this weekend for Easter brunch! YUM! How many days prior can I cook them? And can these be made into mini muffins? Also, do you always recommend cupcake/muffin wrappers or can you do right in the pan? Thanks for helping guide me. You are such a talent! Thank you and sounds great! And what would cook time be for minis on these muffins? Thank you so much Ngan for your kinds word. I look forward to following your blog also. You are an amazing cook. I especially liked your vegetarian feast post. I have some bananas sitting on my bench and I can’t wait for them to get super ripe now! The cream cheese baked into the top sounds super indulgent and perfect for a weekend breakfast treat 🙂 I bet my colleagues would love these too!